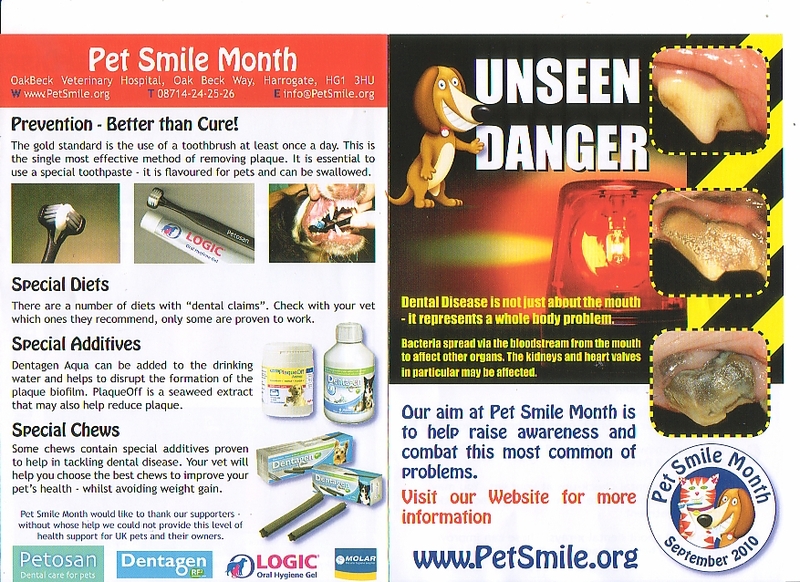 Uk – September is ‘Pet Smile Month’. 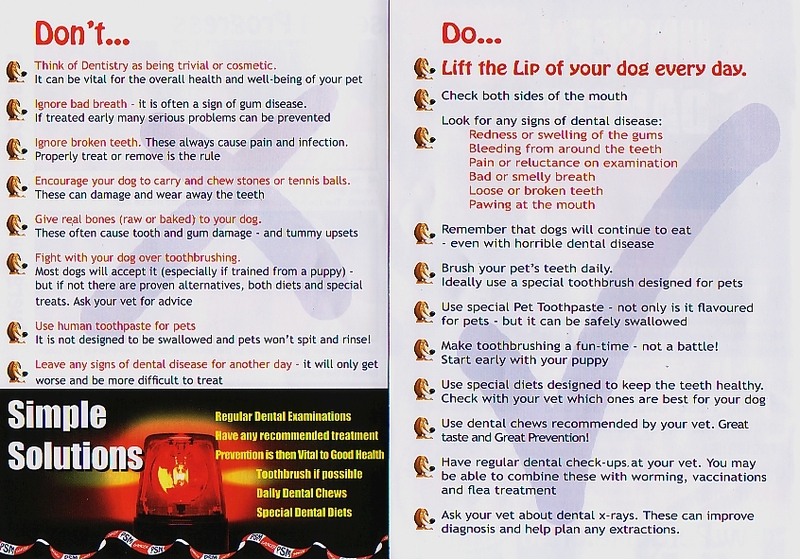 Below is a guide to good doggie dental care and the most common dental problems. Is it time to give your best friend(s0 a dental check ? Follow the ‘Do ….’ information provided. 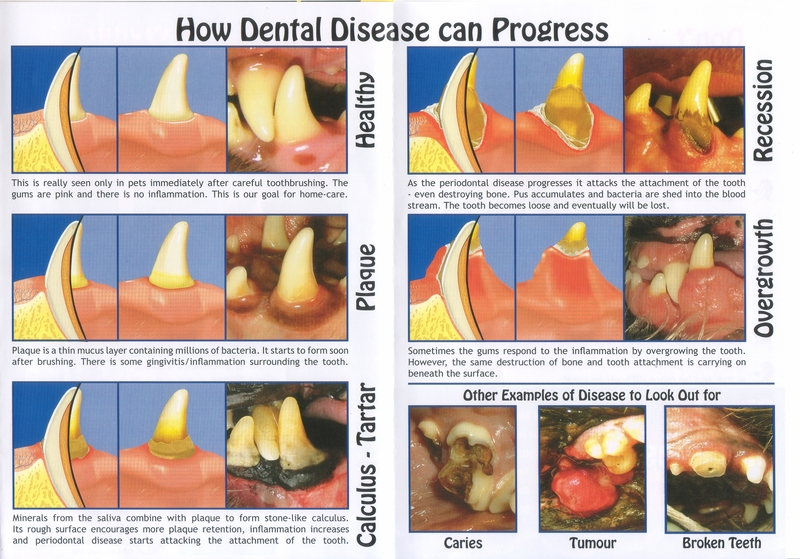 Check out how dental disease can progress via the artworks and photographs. Happy teeth is a happy dog. So …. Give us a smile !